Mr. Earl brings his 28 years of experience, successfully defending clients in very complex cases, to his clients in the Philadelphia and surrounding areas. He cares about the results he gets for his clients. He gets to know you and your unique situation. He works aggressively to achieve the best outcome for your case. Whether you are looking for a lawyer in Philadelphia to help with your DUI, traffic ticket, federal drug charges, tax investigation or other criminal matter, Mr. Earl has seen it all. As a lawyer in Philadelphia, Mr. Earl knows investigations. He has met with several Federal agents and Detectives in his years of practice. He has reviewed forensic interviews in fine detail. He represents people in family and criminal matters, as well as a variety of other matters. You may contact him during any stage of your case and he will be there by your side to help. Mr. Earl can also help you with your family court related matters. If you need a restraining order, are going through a divorce, need your child support modified, or need help with custody issues, Mr. Earl will help you decide the best course of action and guide you every step of the way. He will let you know ahead of time what to expect, what questions the judge may ask, what the opposing party will try to do, and help you prepare for your day in court. Clients feel comfortable with Mr. Earl by their side. 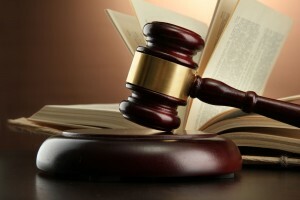 As a lawyer in Philadelphia, he is committed to providing you with top notch legal support. He approaches every client with a focus on integrity, advocacy, and understanding. He fights for you! You can be confident that you have made the right choice by choosing him as your attorney to represent you, when you need a positive outcome. If you are looking for advice, need a lawyer in Philadelphia to go to court with you, or simply want to find out whether or not you have a viable case, call (215) 627-5970 today for a free consultation. He will discuss your options and give you an honest evaluation of your case.